Dan provides consultation and guidance related to lyme and tick borne illness. Dan is a Lyme conscious educator offering educational consultations to promote the body’s natural healing mechanisms along with herbs, diet, yoga, and lifestyle transformation. Dans educational sessions are based on first hand experience of working with Lyme and tick bites continually since 2010. He began his journey of deep study, self-healing, and contemplation of this complex phenomenon in 2010 after he returned from the NJ pine barrens with a 3 day flu that suddenly disappeared and his lyme journey began. Being constantly bombarded with ticks as a wildcrafter and forager he has learned many aspects of the “tick” phenomenon from proper ways of understanding tick habitat, and knowing when and where to check for ticks, to the latest in herbal and allopathic methods, as well as the plethora of research and confusions about testing and the issues that surround lyme. Dan can help advise for what is best for whatever stage you are at incorporating diet, yoga, and herbs, all while honoring and respecting allopathic treatments. He also facilitates and provides workshops and classes, as well as slideshow presentations to help facilitate lyme awareness, discuss herbal protocols, and other helpful methods. 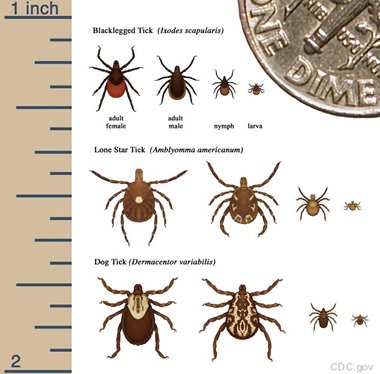 Here is a video on checking for ticks, habitat awareness, and general principles of going in the forest and remaining tick free. A consultation is an educational service Return to Nature provides and is not meant to diagnose, treat, or cure any specific illnesses or ailments. All information provided during the consultation should not be construed as medical advice. Please consult a licensed healthcare practitioner for medical problems. Hello, I was wondering if you have experience with Bartonella? I’ve been treating Lyme Disease for about 4 years now and though I am much better, Bart is still giving me issues. Bartonella is more stubborn than Lyme in my opinion.